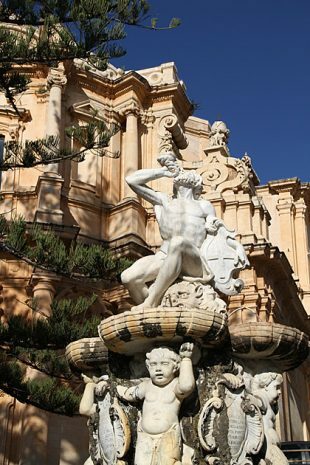 Although it’s tucked into the maze-like alleys of the Albergheria, the Casa Professa (or the Chiesa del Gesù, as it’s more officially known) isn’t difficult to find. Just head towards that beautiful green and white tiled dome, visible over most of the neighborhood’s rooftops. 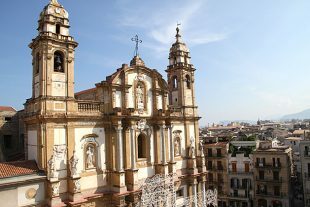 One of southern Italy’s most spectacular Baroque churches awaits. 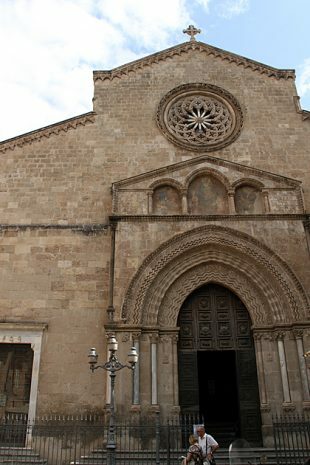 Tucked into a small plaza just south of the Corso Vittoro Emanuele is the church of San Francesco d’Assisi. 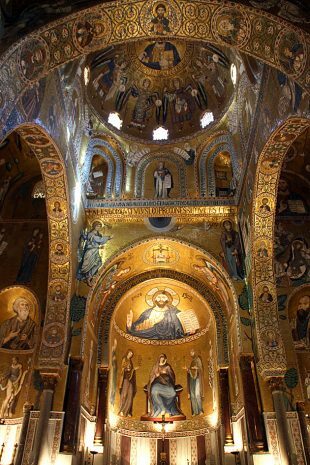 Originally built in 1260, the church has undergone many transformations in its 750 years, and still plays an important role in Palermo’s religious life. 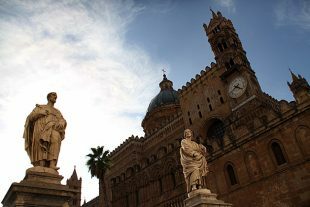 Whether winding through the narrow alleys of Il Capo, or pushing past tourists along the claustrophobic Vittorio Emmanuele, the massive Cattedrale di Palermo appears suddenly and always comes as a shock. 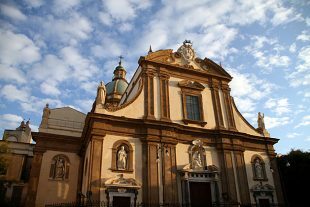 Near Palermo’s Quattro Canti is the Church of Santa Caterina, whose modest exterior belies the Baroque magnificence waiting inside. 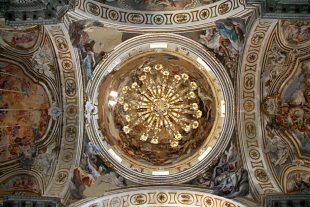 Construction on the church began in 1566, but the interior decoration dates from the 17th and 18th centuries, when Baroque was at its height, and the Catholic church was encouraging intricate detail and emotional themes.